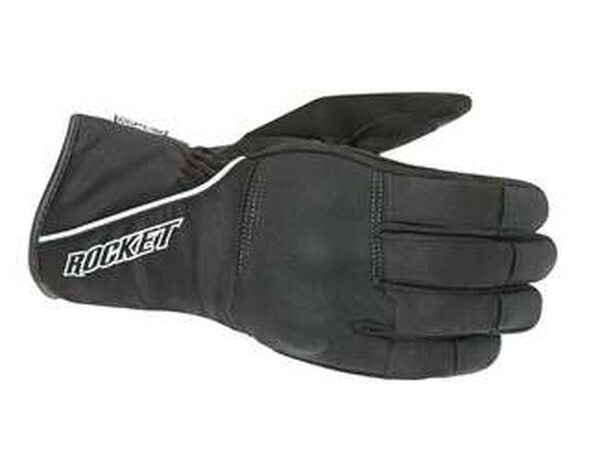 Having the right glove helps promote better overall handling and control of your motorcycle, especially when unpredictable rain and/or cold weather are thrown into the mix. You need a glove that has been specifically designed to fend off moisture while maintaining a commanding grip at all times. To ensure that your level of control is always one step ahead of those dark clouds, you'll want to make a glove upgrade in the near future. Even if you choose to pack them away in case of a "rainy day," you'll be glad to have a waterproof pair handy when that time comes. Check out the following five pairs of waterproof gloves you should keep stocked in your regular riding arsenal. You never know when you'll get stuck in the middle of a storm. The power-stretch knuckles, 45-degree precurved fingers and a padded palm make for a comfortable fit, and a neoprene cuff makes for a fully adjustable yet secure closure. Get the style, comfort, and rain protection you'll need while on the road. 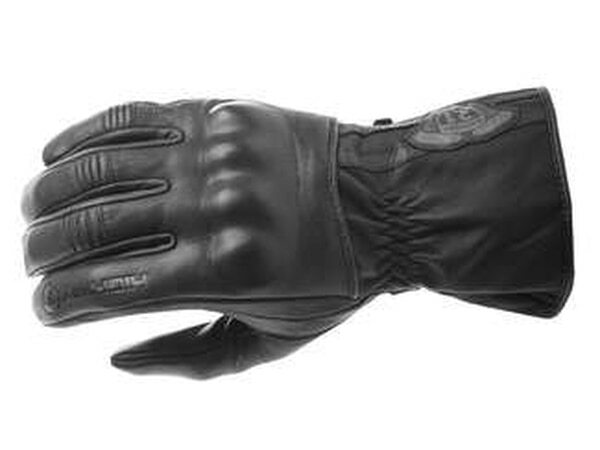 J&P Cycles' own black deerskin gloves help keep your fingers dry with a Enprotex waterproof lining and palm patch, and the gloves' long gauntlet length keeps any unwanted moisture from sneaking in. 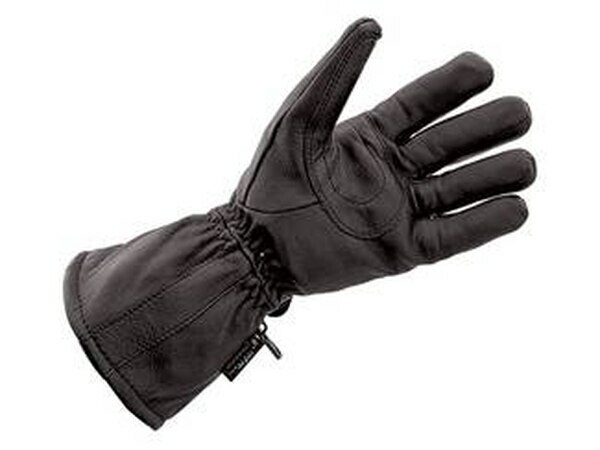 A Thinsulate lining also helps provide warmth to protect fingers from getting too cold and numb. Icon estimates that nearly 80 percent of the controls on a motorcycle are operated with your hands, which makes fully insulated and waterproof gloves so important to carry when combating the elements. 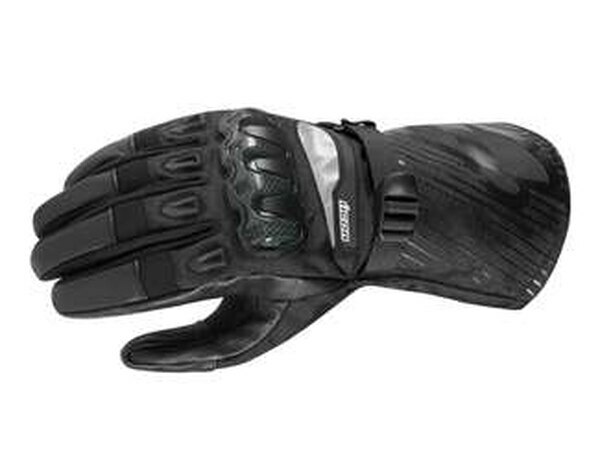 The Patrol gloves feature a chassis that is not only waterproof but also rocks a mild, precurved design to battle hand fatigue that can occur over long rides. 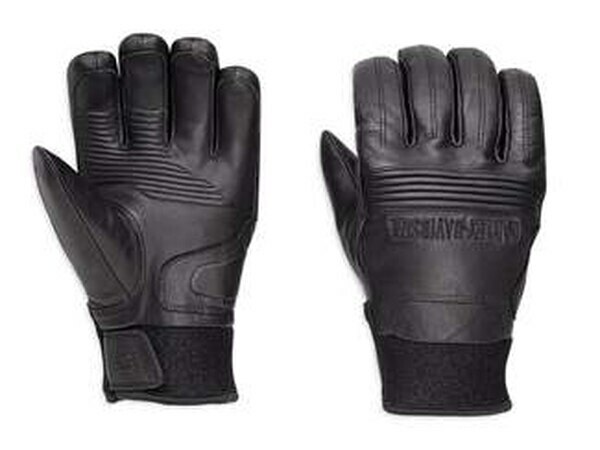 The palm is constructed of Icon's Battlehide goatskin, and co-molded knuckles cover and protect the back of the hand. There is even a built-in goggle wipe on the thumb to allow for quick and easy shield or goggle cleaning. Excellent abrasion resistance comes in the form of a RockTex 330 backhand that is reinforced with molded knuckle armor. Double-stitched palm padding also keeps hands comfortable during extended trips. The palm area has also been designed to be slip-resistant, and the index and forefingers feature an added textured grip. Conductive index fingertips allow for instant touchscreen access, so you don't have to worry about taking them off to operate your mobile device. We like it because it's perfect for wet weather. The genuine goatskin leather construction makes it ultra durable, and dual-density memory foam has been utilized for maximum comfort and protection. Precurved fingers also add to the Hook's comfort level, and the inclusion of reinforced knuckle protection helps keep your digits covered at every angle.